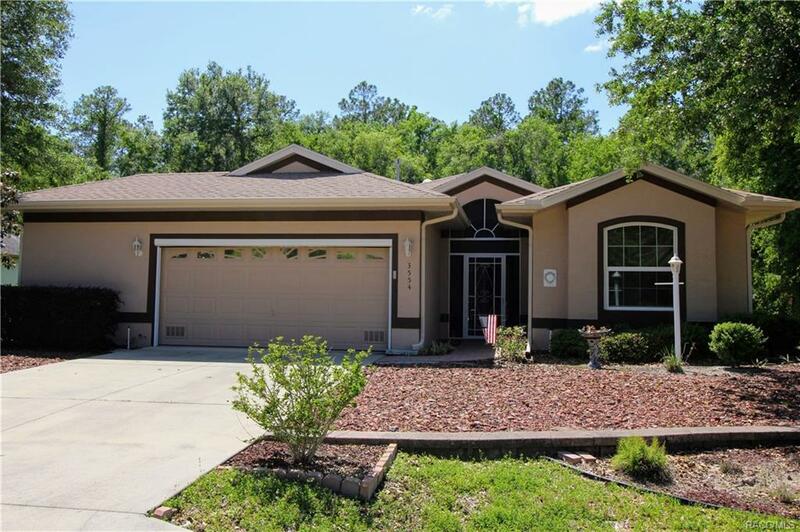 Energy Efficient One owner pool home in Canterbury Lake Estates. Located in the back of this private 1 entrance community. Home bordered by 80+/- acres vacant land for added privacy when splashing in the solar heated saltwater pool or enjoying the spacious pavered pool deck. This bright home has a great open flow kitchen to living room leading out to the pool through tall sliders. The upgraded dual pane windows, the solar tube, and the variable speed pool pump all add to the efficiency you will appreciate. Durable steel stud walls; impervious to fire, termites, rotting, splitting etc. Don't miss your chance to own this quality home in a great community. Directions: Hwy 486 To Canterbury Dr. Right On Chandler Dr And Proceed Through The Open Gates. Home Will Be On Your Left.